Sailing on the quiet and tranquil waters of the River Exe in our warm and cosy boats this trip is perfect for all the family. With a covered and heated lower deck and woolly blankets on the upper deck, you can have fabulous views of the River whatever the weather! 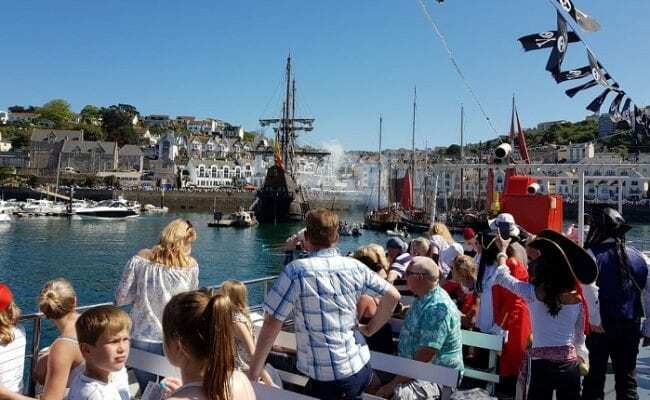 Sailing from Exmouth, your Skipper gives live commentary on the history of the area, the beautiful sights and the resident and visiting winter wildlife throughout the cruise. This cruise lasts for an hour and 15 minutes and we also include a cup of freshly brewed tea or hot and tasty coffee to help keep the Winter chills away! As a designated RAMSAR site, the River Exe is one of the top rivers in the country for wildlife and is a feeding ground for several seals. You might even be lucky enough to see the resident seal on your trip! This trip is suitable for manual wheelchair users and persons with reduced mobility. We would recommend booking as this is a popular cruise, tickets cost just £7.50 for adults and £5 for children and a great for all the family!